As an HR manager, you interact daily with managers and employees. When you’re responsible for linking management and employees, you come to expect surprises as an HR manager, but for the most part, you have a daily routine. No matter the size of your company or the number of its employees, an HR manager is an administrative position. You might plan the company picnic, coordinate the employee newsletter and direct payroll, thus most of your daily responsibilities support reoccurring schedules. You must also keep the company’s hiring process moving forward and be ready for any challenge that lands on your desk. 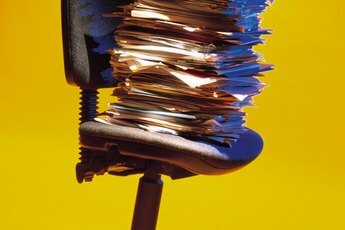 Deadlines help you organize priorities as an HR manager and direct which tasks move to the top of your daily to-dos. If it takes you three days to process payroll, and paychecks distribute twice a month, you have to plan other priorities around those vital administrative deadlines. Before that first cup of Earl Gray tea is cool, an HR manager has to begin the most important deadlines first and work ahead on other projects, such as updating the company’s tardiness policy. Advanced projects may be your idea, the management team’s or the result of employee feedback. Take that tardiness policy, for example. Say that several managers complained about its lack of enforcement across departments, but when you examined the issue, you realized that the current policy was ambiguous and some managers interpreted it differently. In response, you proposed a revision. Other projects result in federal guideline changes, such as how your company applies health-care benefits. You have to structure these projects into your daily responsibilities as needed. You must communicate as an HR manager; after all, you manage the company’s people. If a department manager is fed up with an employee’s behavior, the situation might become your “problem of the day.” You’ll have to break out your best communication skills to understand what is happening between this manager and her employee. You must facilitate clear channels of communication and ensure proper documentation of the situation especially if it leads to a termination. On the other hand, your day might be interrupted by employees asking questions. As an HR manager, you answer all manner of questions including benefits eligibility, policy clarifications, paid leave and whether or not the company picnic is mandatory. You might have to deal with uncomfortable employee questions about sexual harassment. What you thought was the day’s priority might suddenly take a back seat to such unexpected inquiries. No matter what responsibilities you have for the day, an HR manager has to keep the hiring process rolling. You need to know the seasonality of your company’s hiring needs because it requires advanced preparation. You might have to update job descriptions, prepare hiring campaigns, train managers how to interview candidates, review incoming applications and phone screen potential candidates, and that’s all before a new person is hired. Once hired, you have more paperwork and orientation. Some part of the hiring process will be involved in your day. If your company is large, you will direct a team to assist you with the daily responsibilities of an HR manager. Instead of tackling the daily tasks, you will delegate them to other specialists. One may manage payroll, and another may assist you with hiring. Or, you might hire contractors to manage payroll or your time clock and scheduling software. Even with a team, you can expect the unexpected to show up in your daily responsibilities. What Is an Employee Relations Coordinator? 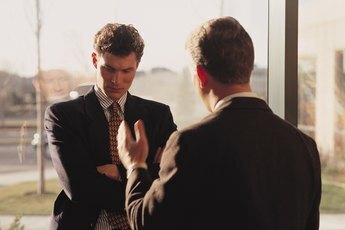 Can Your Supervisor Read a Complaint an Employee Wrote to Human Resources?